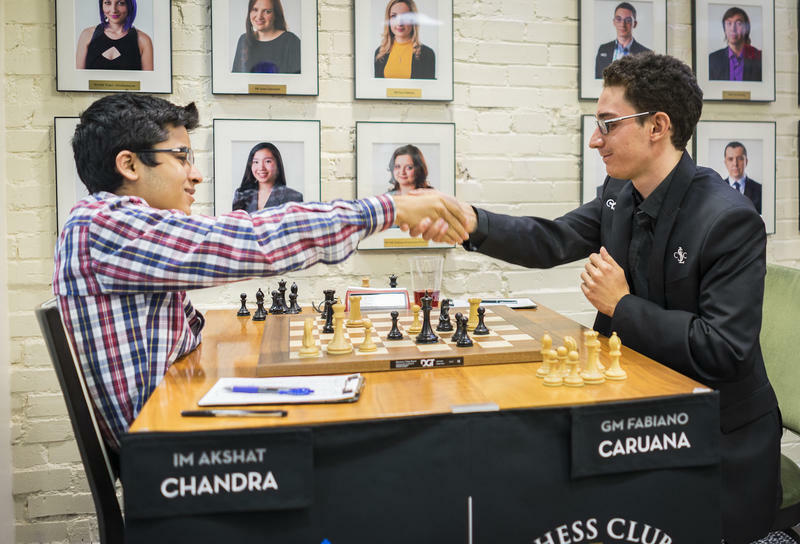 The event was a two-day, six rounds, round-robin with Kasparov facing the three titans of the U.S. Championship — Fabiano Caruana, Hikaru Nakamura and Wesley So — in an attempt to prove he is still one of the best players in the world, more than a decade since his official retirement. Hikaru Nakamura and Wesley So were leading the Ultimate Blitz Challenge going into the second and final day of the event. Kasparov was trailing behind one point and seemed like he could pose some serious problems for the leaders if he could brush off the rustiness and avoid the blunders that plagued him throughout the first day. The second day started with a full-on revenge from So, who took the lead after he completely demolished Kasparov in a game that reminded the former world champion of the style of Paul Morphy. In the news conference after the tournament, Kasparov stated that due to a very long night overwhelmed with negative thoughts due to his losses the previous days, he was extremely tired and could not fight effectively against the young titans. Nakamura knew it was going to be a day filled with tense situations. He was ready, he was smiling, and overall had a very relaxed aura surrounding him. So was also showcasing a very tempered attitude, the race was just heating up. The decisive moment came in the 15th round. So was facing Nakamura in the battle between the leaders. The crowd was ecstatic and Kasparov was slowly seeing his title chances evaporating. The players repeated a topical line of the Queen’s Gambit Decline and soon the position petered into an almost draw. But Nakamura had a different mindset; with a relaxed attitude and poised confidence he continued to play natural moves and slowly improve his position. Suddenly, So started to err. He chose to march his king towards the center and completely missed a nice tactic that allowed Nakamura to collect an important pawn and swerve the game in his direction. So was forced to accept the defeat and Nakamura emerged as the sole leader. Despite So’s pressure — he kept his chances all the way until last round — it was Nakamura who cemented his victory with a composed performance in the last round against his main rival. Who would have thought these players would be so energetic and full of intense chess stamina after such a long and exhausting U.S. Championship? Not many. Despite that, these chess warriors managed to bring their A-game to the table, and with it, smash absolutely any viewership records. Kasparov elected to donate his earnings of $10,000 to the U.S. Chess Olympiad team. More than 100,000 people were watching this eventful masterpiece each day. The players, the production crew, the organization and everybody else involved knew a secondhand effort would not cut it — they had to offer the best chess event broadcasted live! And that is exactly what they did. The numbers don’t lie! The comeback of a chess legend … the battles of the current top-three American kings … it was all there. The Chess Club and Scholastic Center of Saint Louis would like to thank the more than 1 million viewers who watched more than 15 million minutes of chess over the past 20 days. Your support is what reinforces Saint Louis as the Chess Capital of the nation!